With its giant Sculpture Park, its Live performances section and its Frieze Projects programme together with Frieze Sound and Artist Award, this year’s Frieze art fair is celebrating a shared commitment to discovery. Frieze 2015 provides a critical perspective on contemporary art, utilising the expertise of curators including Nicola Lees (Curator, 31st Biennial of Graphic Arts, Ljubljana), Clare Lilley (Yorkshire Sculpture Park) and Gregor Muir (Executive Director, ICA) across its programme. For the 13th edition,164galleries from 27 countries will present the work of some of today’s most significant’s contemporary artists. In the main section, notable presentations include the 42 sculptures on a forest of plinths presented from Hauser&Wirth and new works from the Taka Ishii Gallery in Tokyo where artists had been invited to make works in dialogue with the architect Luis Barragan’s iconic House and Studio in Mexico City. From iconic to emerging, as we walk into the young galleries,in the Focus section, curated by Raphael Gygax (Migros Museum,Zurich) and Jacob Proctor (Chicago) we find emerging talents like the recently rediscovered Polish artist Maria Pininska-Beres and a floor-based ‘water relief ’ by UK artist Samara Scott. Frieze London’s non-profit programme, Frieze Projects, is supported by LUMA Foundation, presents the work of seven artists that create hidden spaces, intrigue and secret world just adjacent to reality as response to the dynamics of the fair. This year Frieze Talks presents a series of interesting daily panel discussions as Gregor Muir said: ‘This year’s Frieze Talks mixes radical dissent with a focus on emerging artistic practice’. One of the highlight of this edition is the Cuban artist and activist Tania Bruguera giving the first public talk since her detention by Cuban authorities. 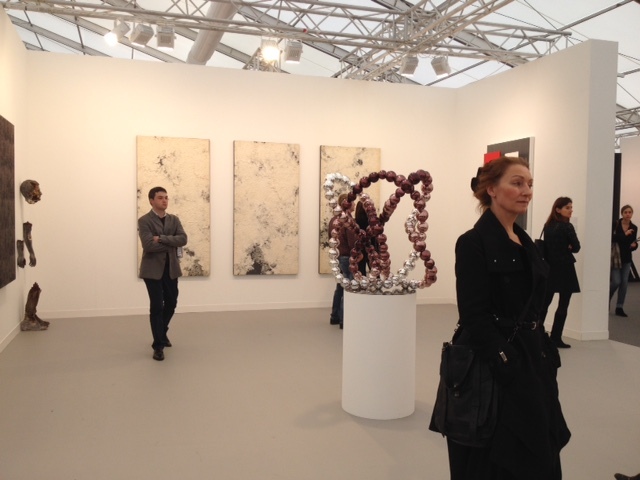 Art fairs may be all the same, filled with shiny or grim things, and artworks that make you ask why galleries across the globe trouble themselves to drag them all the way here, but there’s always something to brighten your visit as you wander the fair. 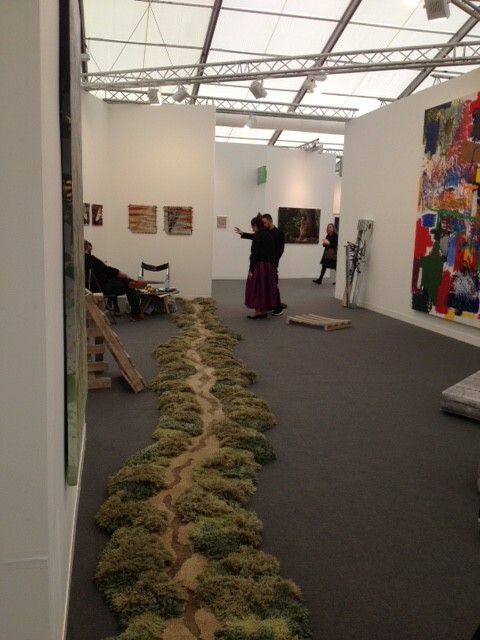 The 13th edition of Frieze is more varied than most, with a bigger spread of established galleries and emerging spaces, or young galleries. 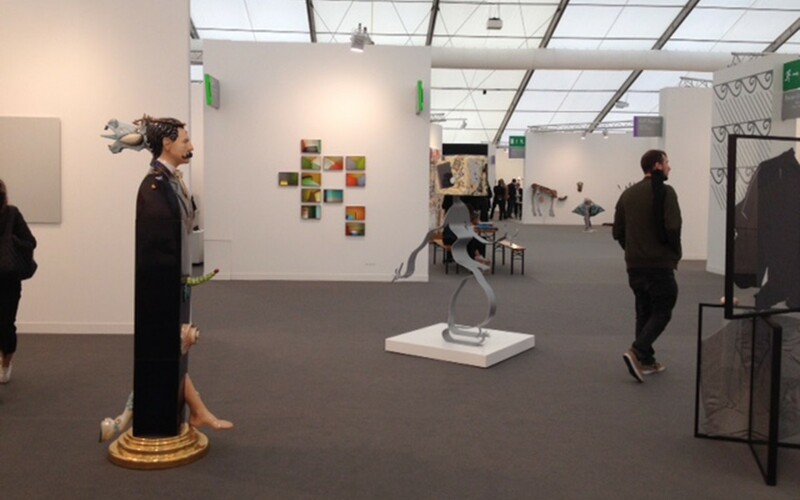 Not that the art is necessarily better, but the galleries seem to be trying harder every year.